The Commonwealth of Virginia has a lot of diversity . . . in industries, geography, people and climate. And most of its residents are within a half day’s drive or less to the home offices of Christian Counseling Associates of Raleigh. 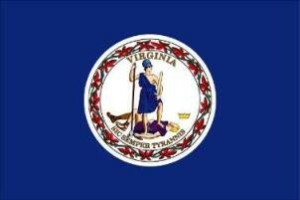 If you’re based in the mountainous west including Roanoke, Lynchburg, Blacksburg or Bristol, the tidewater area of the southeast including Norfolk, Virginia Beach, Newport News, Chesapeake or Portsmouth, or the heart of the state from Petersburg and Richmond to Alexandria, the marriage counselors at Christian Counseling Associates of Raleigh are ready to help. Christian Counseling Associates of Raleigh understands that distance should never obstruct a happy marriage, so we welcome the opportunity to work with couples throughout Virginia. Our offices in the heart of North Carolina’s Raleigh – Durham “Research Triangle” are easy to get to and worth the effort, when a couple needs marriage counseling. Particularly for couples marriage intensives — where we devote approximately 20 hours over a 3 days period for extensive counseling — a visit to Christian Counseling Associates of Raleigh can be time well-spent. We have experience working with couples across the United States and welcome the opportunity to help you live a happier married life. Intensives are especially helpful when married couples are in a crisis mode or are able to devote a lot of effort in a condensed amount of time to get their marriages back on track. If you are interested in marriage counseling services including our intensives series, please don’t let the prospect of a few hours in the car prevent you from following up. Please fill out the form to the right to contact us for more information about our FREE 15-minute phone consultation.